Recapture, within yourself, a sense of wholeness and belonging through deep nature play. Help others awaken their natural curiosity, childlike wonder, and enthusiasm. When absorbed in deep play, our sensory awareness is heightened. We become immersed in the present moment and feel intensely alert and alive. Because play is joyful and rewarding, we operate at the peak of our mental and physical capacity. Teachers, by incorporating play into their classes, can bring greater engagement, retention, and inspiration to students. Forword by Richard Louv. Color photos. "This book will bring joy into your world!" 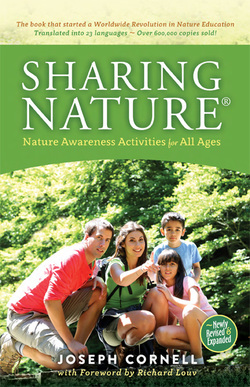 Sharing Nature with Children® sparked a worldwide revolution that connected millions of parents, educators, and children with nature. Published in over twenty languages, this classic has now been combined with Sharing the Joy of Nature to make a treasury of Joseph Cornell´s best-loved nature games for children and adults. Forword by Richard Louv. Color photos. "Cornell´s highly influential guidebook, Sharing Nature with Children, is elevated to a new plateau in this special, all-ages-included 35th anniversary edition." ​Wild seashores and woodlands calm and refresh our spirits. Contact with nature enhances our wholeness and well-being. 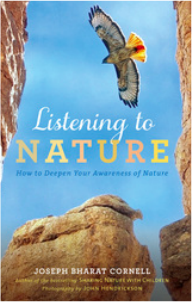 The powerful, compelling exercises in this book can help readers become immersed in nature's joyful and healing presence. 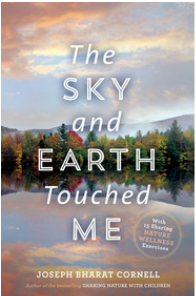 The Sky and Earth Touched Me takes the Sharing Nature exercises to a higher level and offers adults a transformative guide for healing and well-being. Color Photos. 134 pages. Cornell shows us how to embrace the soul of nature and let Her soul embrace us. Listening to Nature will open your eyes and your heart to the serenity and joy of the natural world. 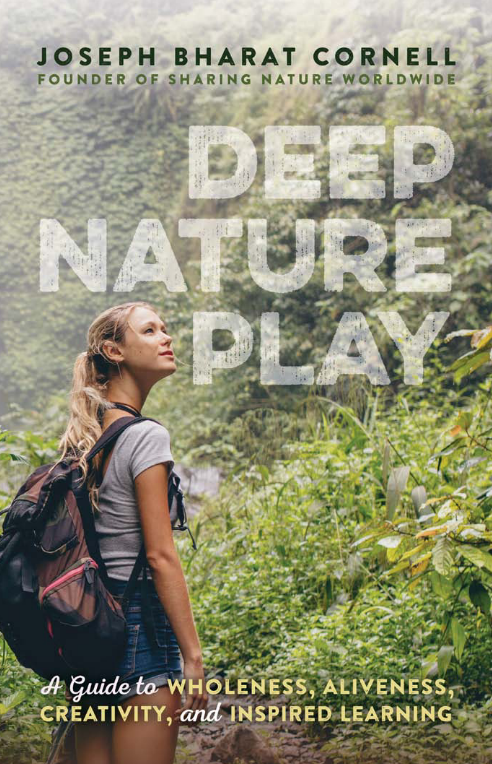 Simple, transformative exercises, combined with stunning photographs and quotations from famous naturalists, will help you experience nature in a whole new way. This new edition of the beloved and bestselling classic has been extensively rewritten and includes dozens of new color photographs by award-winning photographer John Hendrickson. 94 pages. Listening to Nature gives people a dynamic experience of their unity with the natural world. I heartily recommend it to anyone who desires a deeper relationship with the Earth. This unique "autobiography" of John Muir is told in his own words, brimming with his spirit and his adventures. The result is a book with an aliveness, a presence of goodness, adventure, enthusiasm, and sensitive love of each animal and plant that will give young adults an experience of a true hero. It is a book that expands your sense of hope, adventure, and awareness. Adults will be just as fond of this book as young readers. Cornell includes numerous "explore more" activities that help the reader to understand and appreciate Muir's many wonderful qualities. 72 pages.